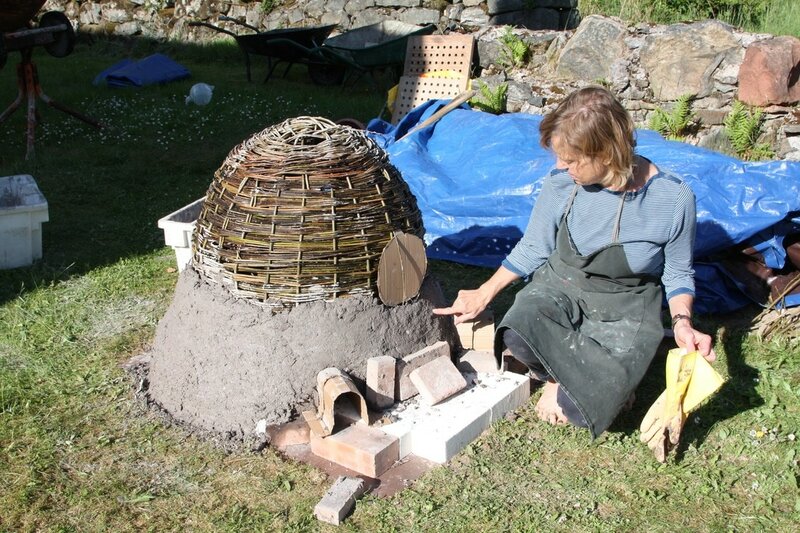 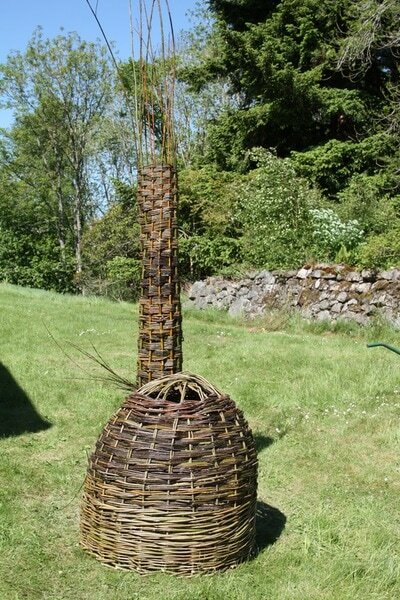 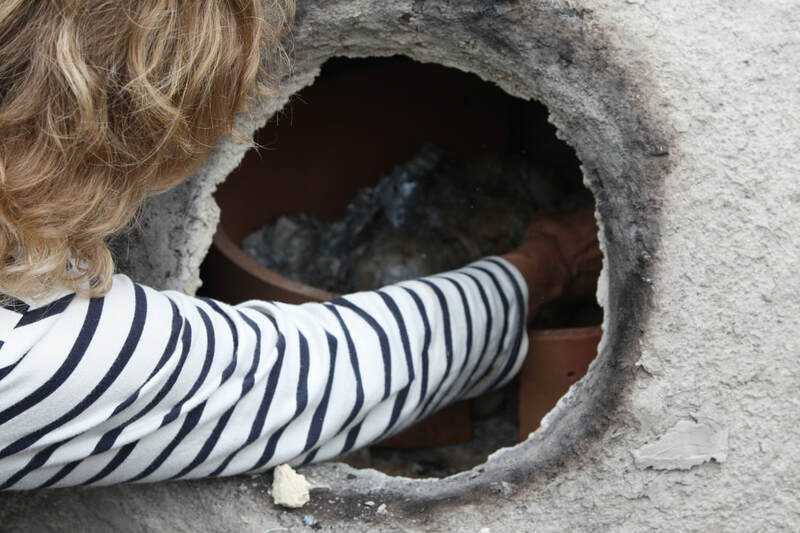 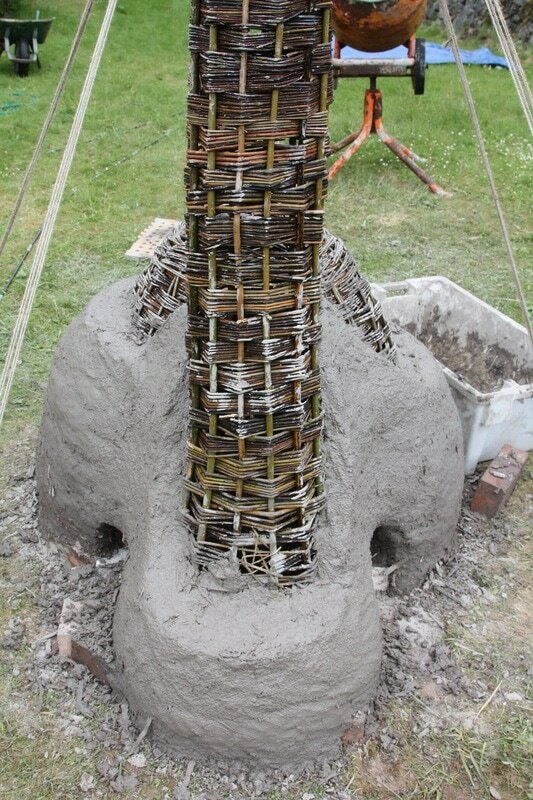 We built a kiln from willow and clay in the garden here at Heckleburn, and used it to fire pots made in classes. 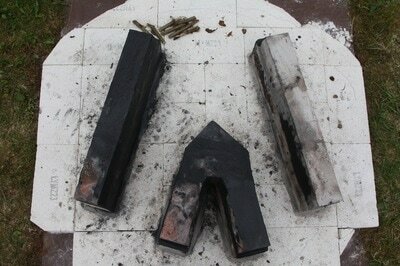 ​and explored the ways we can combine the 2 skills and materials. 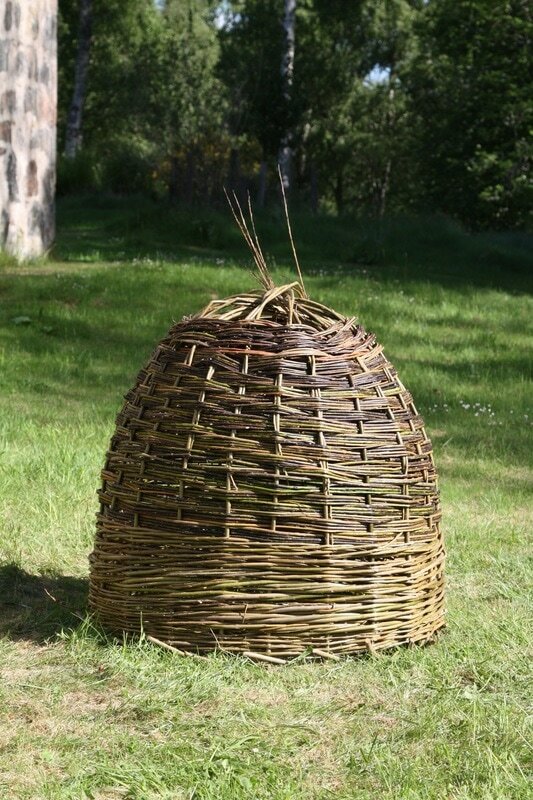 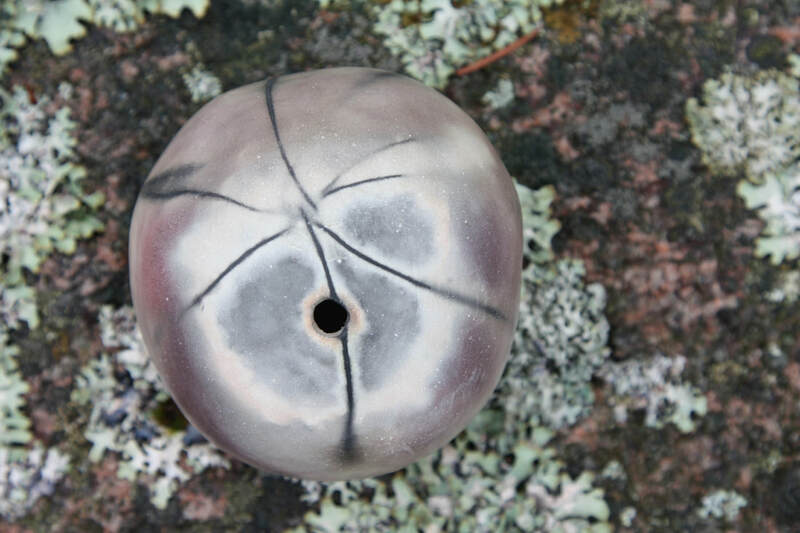 An exhibition of the work was held at The Barn, Banchory in April 2018. 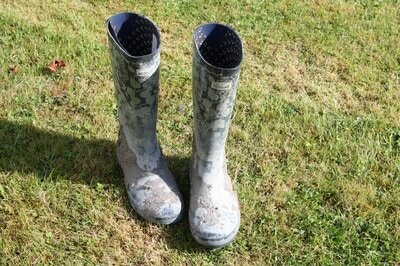 Battling against rain and midges, our kiln building was completed. 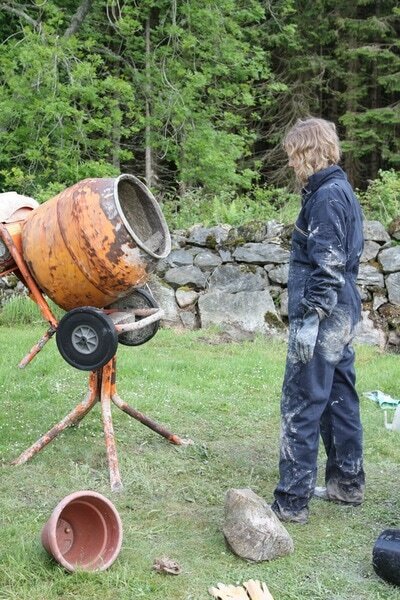 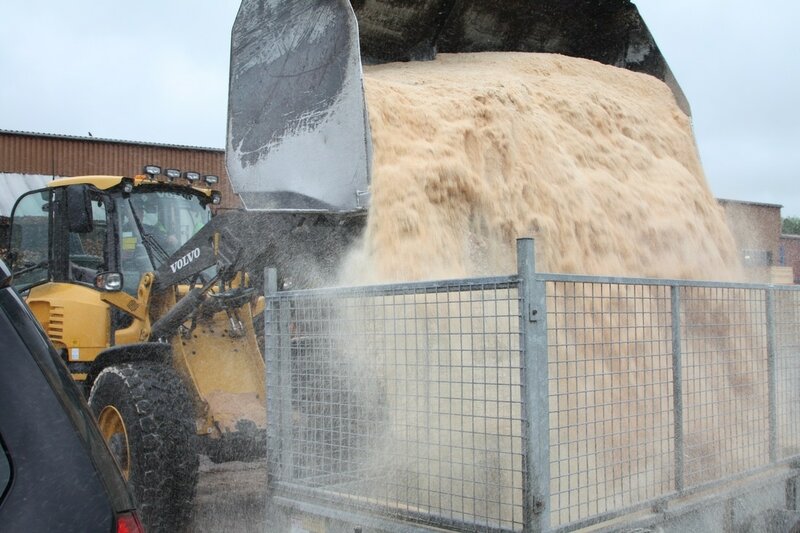 We consulted books and experts for our design, had trips to Scotclays in Perthshire for fireclay and to the sawmill for wood chip and sawdust. 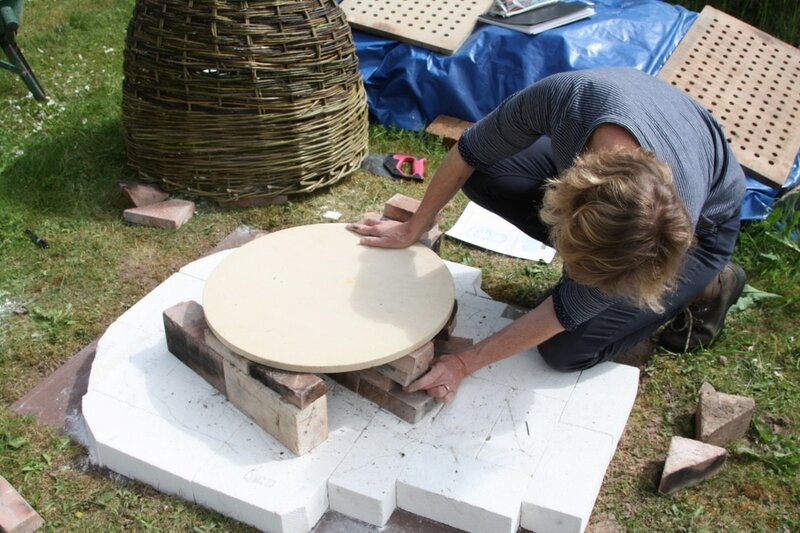 The sun shone as Helen built the willow structure, and and the first batches of clay mixture were daubed onto the willow. The next few days were trickier, and we had to work out how to protect the growing kiln from the elements! 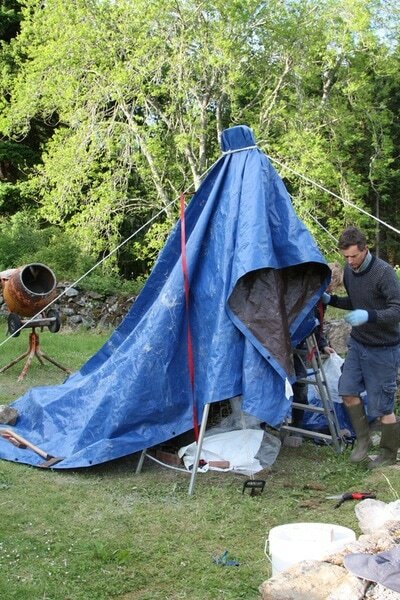 Helen found an old tent which was just the job. 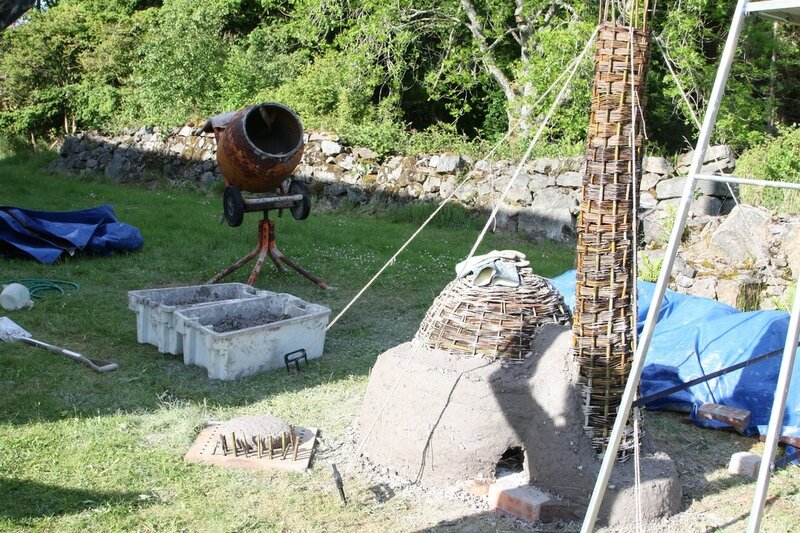 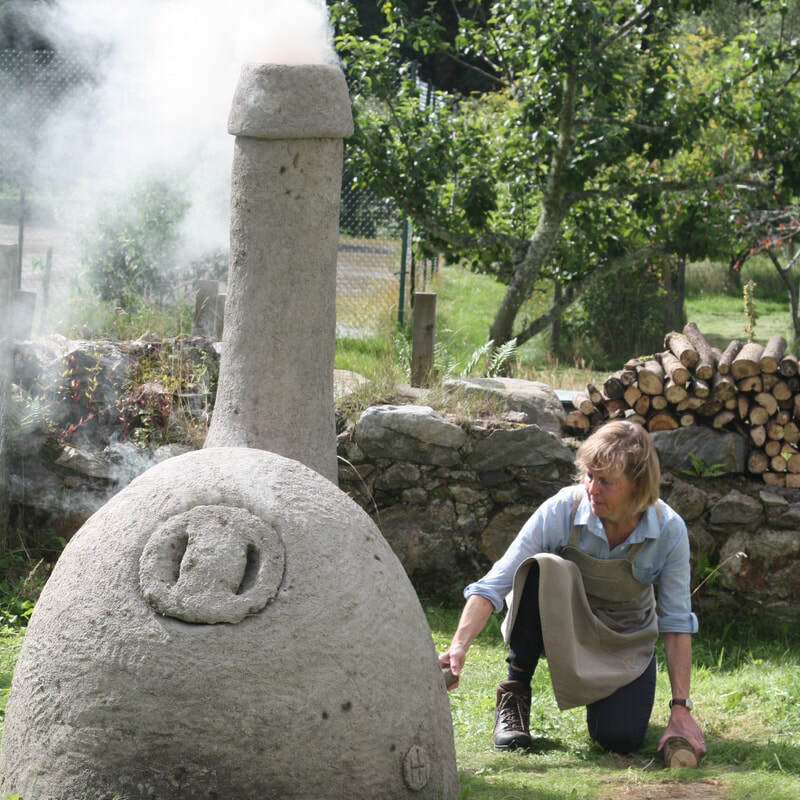 We held classes, fired lots of pots and had a BBQ for the final firing before 'kilny' had to be wrapped up for the winter when the chimney broke. We fixed the chimney in the spring ready for some more firings throughout the summer, and now the kiln is now disintegrating back to the ground. 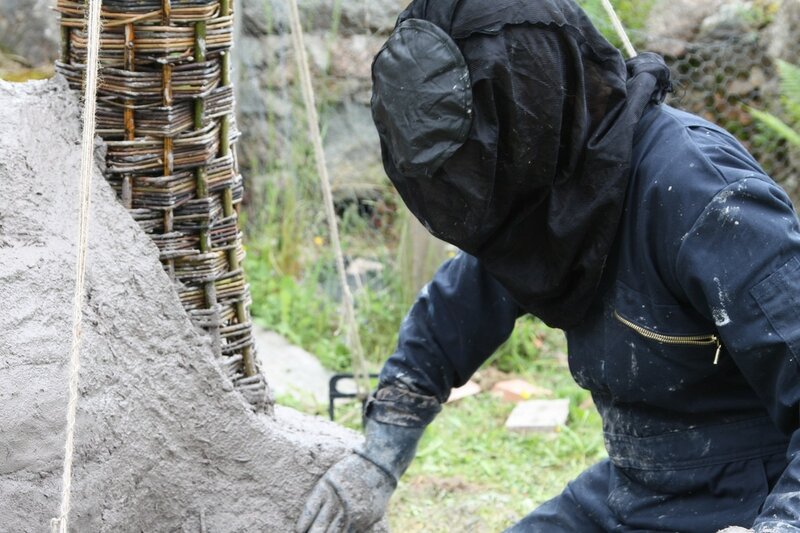 Please use this enquiry form if you have any queries about the project.